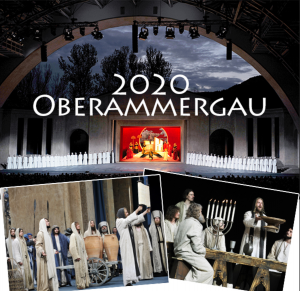 We are now planning two trips to the Passion Play in Oberammergau Germany in 2020. This play is only performed every ten years. Keep an eye on our developing “Oberammergau Page” for full itinerary, development, final dates and soon to register. Contact Elizabeth for more info or to be put on our list (emarkey@ctscentral.net or 800-727-1999, ext. 150). 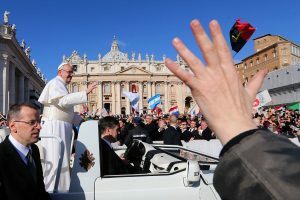 But we have packed these trips with loads of goodies like meeting with the head of the Swiss Guard, a meeting with Gianna Molla (daughter of St. Gianna), a visit to Dachau and the magnificent Alto Pinakothek Museum in Munich (Rembrandt’s Life of Christ series). Fussen and St. Gallen Germany with Mass at Wieskirche. 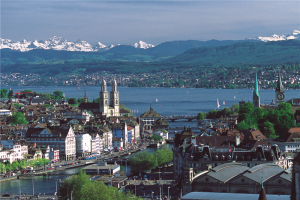 Siteseeing and free time in Zurich Switzerland and a drive through the Alps to the beautiful Milan Italy. 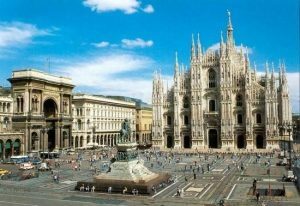 Here we have a day a day of touring, especially a visit to the stunning Duomo Cathedral, St. Ambrose Church for the bones of Doctor of the Church St. Ambrose who converted St. Augustine. From there we take the hi-speed train to Rome for three glorious days in Rome, the Glory of Christendom! We will see the Pope, visit the major churches, see the Catacombs and Vatican Museum (with Sistine Chapel) and eat the best food in the world. Enjoy the interactive map below. Pictures and videos added soon. We have an amazing pilgrimage to Oberammergau Germany for the Passion Play– a play that is only offered every ten years. Please contact my associates Elizabeth, Lizzie or Kendall at ‭(866) 468-1420‬ for more info, pricing or to sign up. We have put together an amazing itinerary chock full of history, beauty, culture and the Catholic Faith. Stay tuned here for firm dates in June and August and more info. Contact Elizabeth for more info or to be put on our list (emarkey@ctscentral.net or 800-727-1999, ext. 150). Here is the itinerary. Check back for more info as we finalize everything. 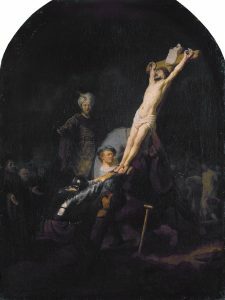 According to centuries-old tradition, this sacrifice is vital for the success of the Passion Play in 2020. As Christians worldwide began a 40-day regimen of fasting, prayer and almsgiving, men in a small town in southern Germany began to give up something in addition to food and drink for Lent. Their sacrifice will continue for over a year. What they are bound to give up, according to a local custom, is a shave and a haircut. That’s because the people of the town, Oberammergau, have begun preparations for next year’s mounting of the famous Passion Play that has been produced in the Bavarian town since 1634. The Oberammergau Passionsspiele was born out of a vow that if God spared the town from the ravages of the plague that was tearing through Europe at the time, they would honor the Passion of Jesus Christ every 10 years. God heard their prayer. After the initial performance, the town mounted the play every decade, in years ending in zero. The only time they failed to keep the pledge was in 1940, due to the Second World War. Preparations are well underway for the 2020 round, which will run from May to October. The performance requires about 2,400 participants, so that each role can be shared among several actors and the rehearsals and performances don’t interfere too much with anyone’s job or normal activities. The town’s population is only about 5,000, and according to a longstanding rule, one has to have been born or have lived in Oberammergau for at least 20 years to get a role in the play. So the Passionsspiele is a community effort, in every sense of the term. “Those looking to keep their hair on the short side have enlisted to play Roman soldiers—requiring a clean shave—or stagehands and members of the orchestra,” reported the German news outlet Deutsche Welle. There’s been “quite a run on the Roman roles,” according to play director Christian Stückl. He’s had 400 applications for the 60 Roman characters. “The only other exception is the apostle John, who was too young to have a beard,” DW said.